FIVE TIPS TO HELP YOU SMASH THE SMASHERS! The first encounter with the Smashers in chapter seven of the first world can be… tricky. The enemies have a specific skill - they can attack you even when your hero has started their action phase. However… they are far from invincible! Min_Minstery, an expert player from our community, gives you her best tips and tricks for being victorious in battle against them. 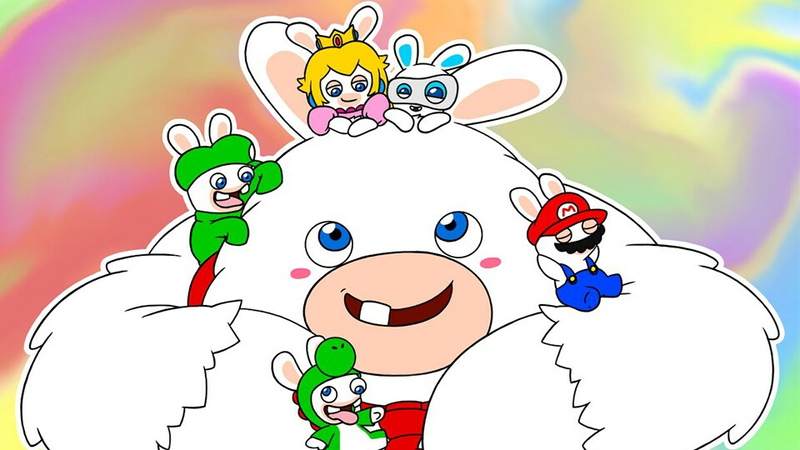 Hello young Rabbids! 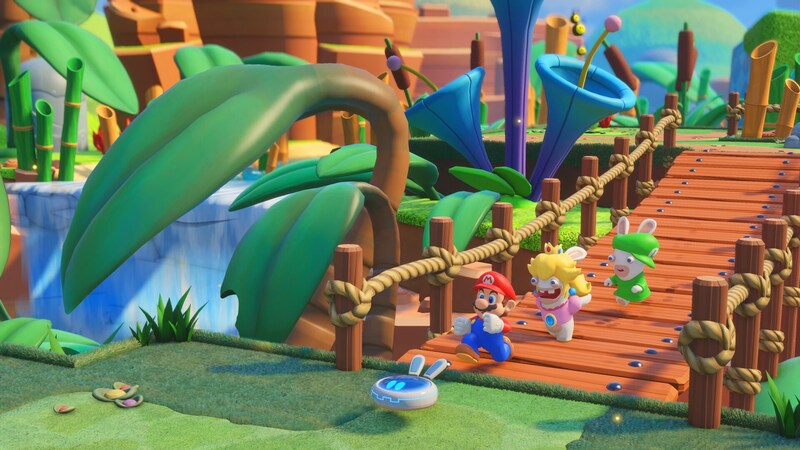 Even though Mario + Rabbids Kingdom Battle is fun and colourful, combat isn't necessarily simple, even at the very beginning! So today I'm going to give you some tips on how to win this battle, during which you will meet the Smashers for the first time! 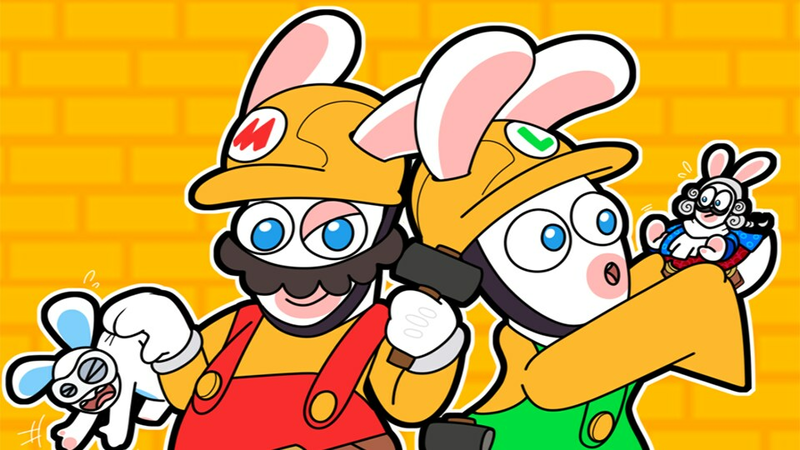 I'm a big fan of Rabbid Luigi, but our scared bunny will not be taking part in this fight! I would advise you to select Mario, Rabbid Peach and Luigi. For Mario, the two most useful skills are the stomp jump which allows him to jump on an enemy's head after a team jump, and his secondary weapon, a hammer that allows him to inflict important zone damage. 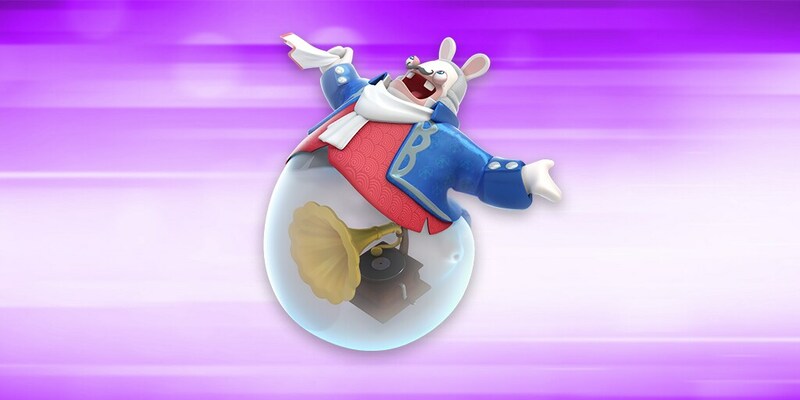 For Rabbid Peach, I would advise you to equip just one skill, which takes up 20 orbs all by itself: her secondary power which allows her to heal her nearby allies. As this combat is the second one in the seventh chapter, she will come in very useful, especially at the beginning! Finally, for Luigi, you should buy his secondary weapon, the sentry. This will allow you to attack even further than his primary weapon and surprise enemies. And with the 10 orbs you have left, you can increase the damage dealt by the height bonus. When you're eager to get into battle as quickly as possible, it's easy to forget this camera, despite the fact that it is really useful, especially when encountering an enemy for the first time! So, the first thing to do when starting combat is to use the tactical camera to learn more about the Smasher. What you learn can be really important for the rest of the battle! Here, you'll see that he can move 4 squares, that he moves 4 squares after receiving damage from one of your heroes, and that he can deal 60 damage. Knowing your enemy is essential, so don't miss the opportunity to do so! It will also give you a chance to get a detailed look at the level design, which is perfect for knowing where you can move. In this battle, the aim is to arrive in a zone at the end of the board. The most important thing is not to beat your enemies, but to get at least one member of your team to that zone! To cross the board more quickly, feel free to move your heroes forward using the team jump. This can allow you to finish the level in less than six turns with a full team! 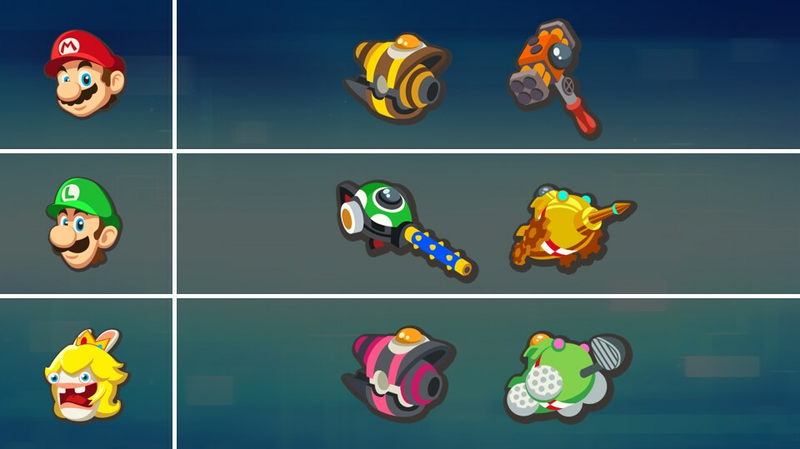 You should also liberally use Rabbid Peach's health skill to get your team's life points back up, as well as her shield if she gets too close to a Smasher!